Residents who live south of Reagan National Airport say airplane noise has increased in recent years, and they spoke out about it at a meeting Monday. 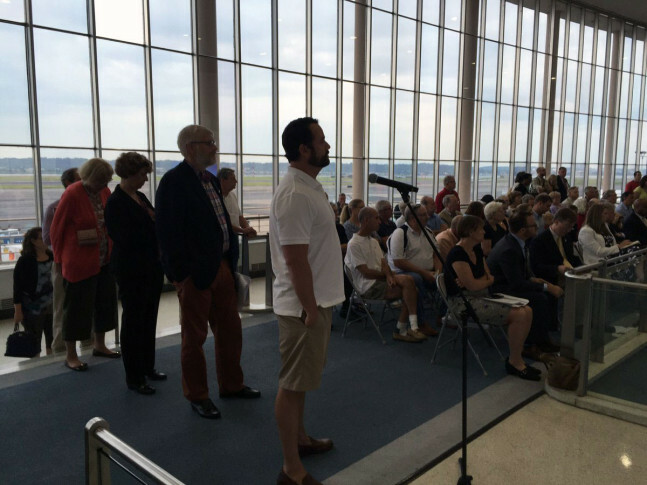 ALEXANDRIA, Va. — Residents who live south of Reagan National Airport say airplane noise has increased in recent years, and they spoke out about it at a meeting Monday. The packed meeting was organized by Congressman Don Beyer’s office, and held in the airport’s Terminal A. “While aircraft noise has always been a reality for Alexandria residents, we’ve noticed much higher levels of that noise in the past few years, myself included. This has a serious impact on the quality of life for our citizens,” said Alexandria Mayor Alison Silberberg. Fairfax County Supervisor Dan Storck has also been directly affected by the changes, and is upset about the way they came about. “It happened without our input. That’s undemocratic. That’s irresponsible and unacceptable,” he said. David Mould with the Metropolitan Washington Airports Authority confirmed planes are flying earlier in the morning and later at night than they used to, and because of NextGen, flight paths have become more concentrated over the Potomac River. That appears to be concentrating noise in areas right along the river. Mould explained that airlines control when and what types of airlines fly, and flight paths are the Federal Aviation Administration’s responsibility. When a resident demanded an immediate promise that the noise complaints would be addressed and more changes made, the FAA’s Lynn Ray responded. “I don’t know that I can solve them all for everybody, but the commitment is to continue to work through them,” she said. A Reagan National Community Noise Working Group, formed in October of last year, is considering a possible solution to complaints received from residents living south of the airport. Under the plan, planes departing south would be kept over the river longer before they make a turn to leave the region. If you’d like to submit an aircraft noise complaint about Reagan National, you can do so on Reagan National Airport’s website.